ASUS has officially unveiled its latest Dual OS convertible two-in-one, the Transformer Book Duet TD300. 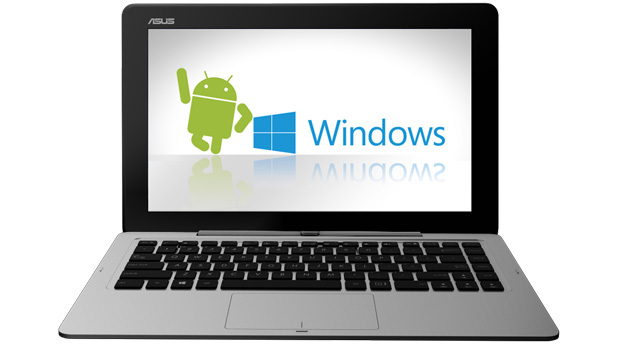 Simultaneously running Android 4.1 and Windows 8.1 on a single device, ASUS claims to offer two different experiences on a single machine, with laptop and tablet configurations thanks to the detachable keyboard dock. ASUS promises a 4 second time frame for switching between the two different operating systems at just a press of the button. It’s slightly disappointing that it runs on Android 4.1 Jellybean but the implementation will be interesting to see if it actually works in real life. The convertible is powered by the latest 4th generation Intel core i7 processor and comes with a 13.3 inch 1080p panel in the default configuration. The base configuration cuts the resolution down to 1366×768 and packs a Core i3 processor but comes with an affordable price tag of $599, which might be enticing for people looking to try this weird combo of a device. 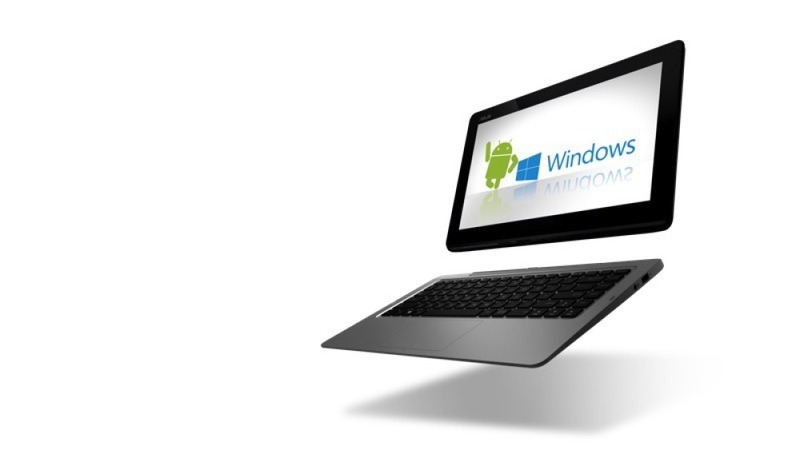 In practice, not many use a 10 inch Android tablet or even a 10 inch Windows tablet, so the Transformer Book Duet might be a really niche product, much like the original transformer but people who usually evade Windows tablets for apps might just happen to like this offering we think. Apart from the Core i7 processor inside the top end model, the device also comes with a 128 GB SSD with the keyboard dock having a separate 768 GB worth of space which gets added when you connect the dock to the tablet. The dock also has ethernet, HDMI and USB ports to make it complete when used in the laptop mode. Our understanding is that the OSes are running in parallel on the same Intel processor, so we think it might be a factor that affects the device’s battery life but still, it’s not very clear. ASUS too has not been kind enough to provide us the complete details yet, so hang on till we find out more information about the Transformer Book Duet TD300 and later a hands on from the show floor.